Martin County Parks and Recreation’s Food Truck & Movie Night series is more than an outdoor movie; it’s an experience combining gourmet food truck with modern and classic films. 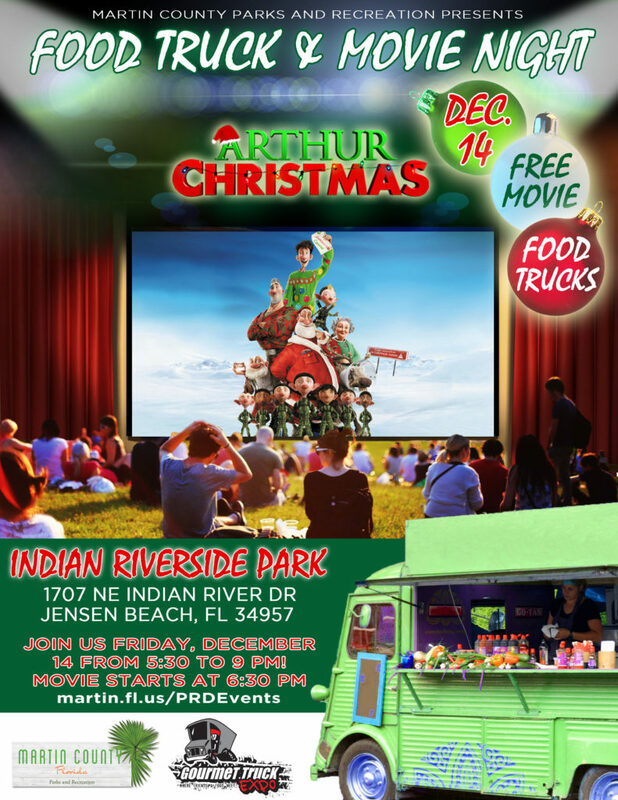 Join us on Friday, December 14 at Indian Riverside Park and watch Arthur Christmas. Bring your blankets and chairs. Enjoy the fun night from 5:30 – 9 PM. Movie starts at 6:30 PM. Please visit martin.fl.us/PRDEvents. There is no charge to watch the film. Everyone is welcome! **Movies presented are rated G to PG-13. Event dates are subject to change. Check schedule for future movie listings at www.martin.fl.us/PRDevents.